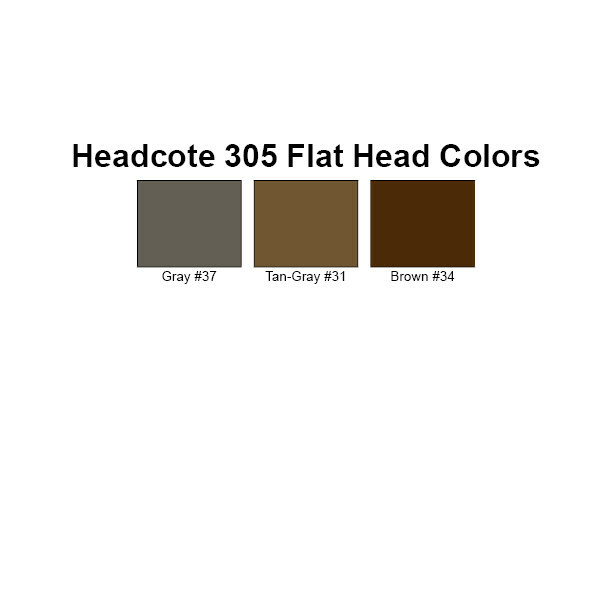 HEADCOTE's Grade 305 stainless steel is the optimal choice for superior quality and excellent holding power for face-fastening applications. 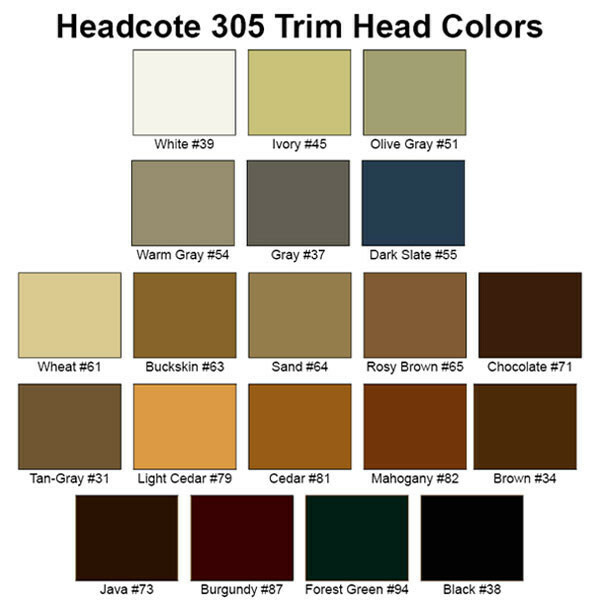 • Wide variety of head colors: Find a match to blend with a wide range of hardwood and plastic/composite deck board colors. 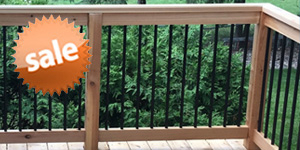 Click Here to find the best color for your deck. 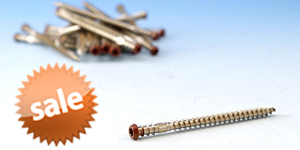 • Auger Point: Provides faster entry and splitting prevention. 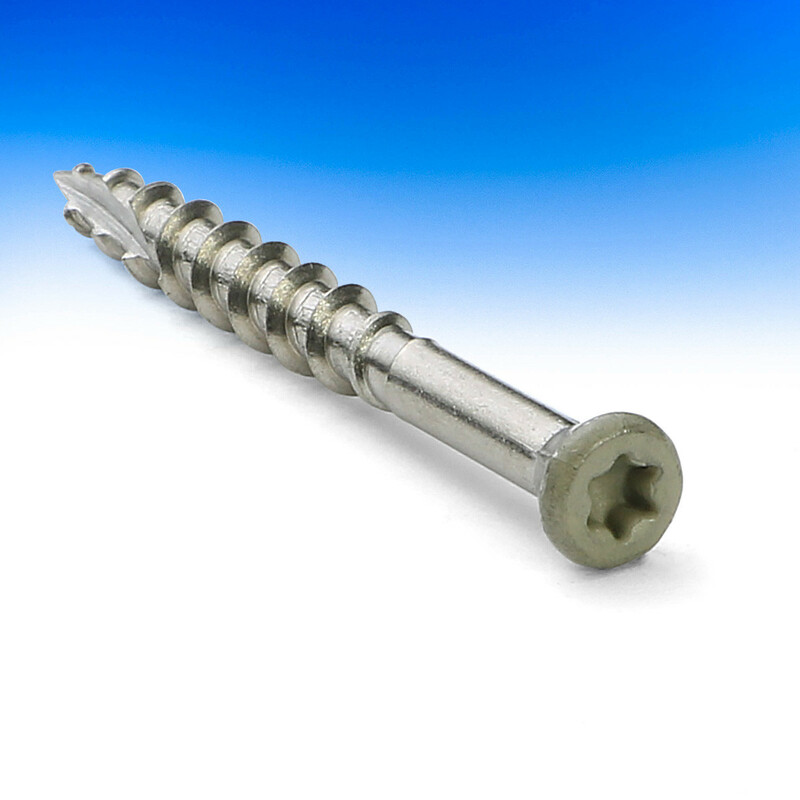 • Star Recess: Allows for better torquing and less stripping. 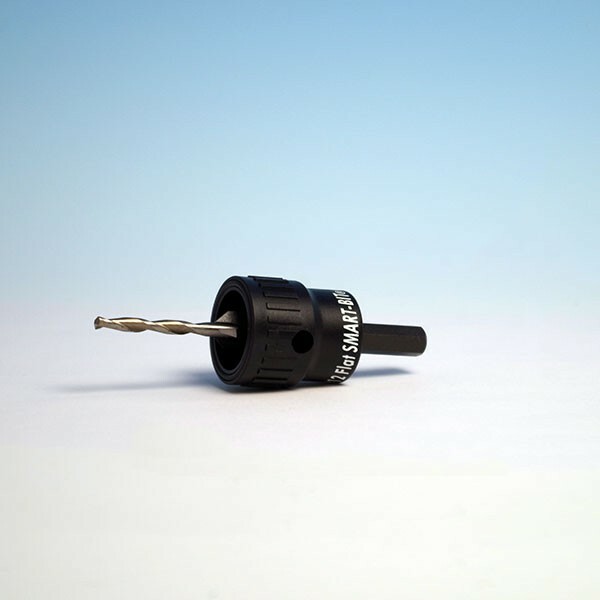 • Special Head Design: Achieve better countersinking thanks to the nibs built in to both head types. 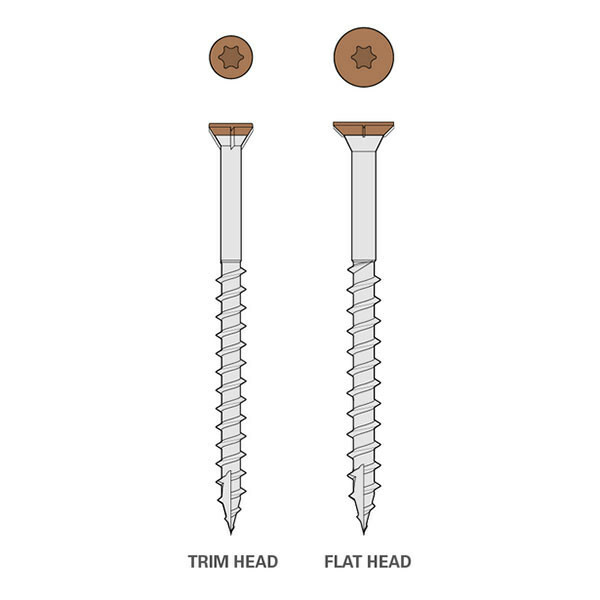 Flat heads have greater strength at the reinforced neck and the trim head's diameter is so small that the head is hardly noticeable. 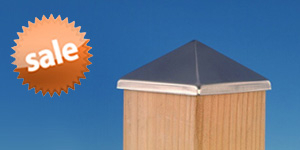 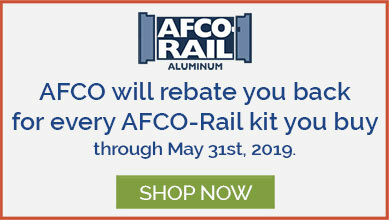 • ACQ-Rated: Approved for use with ACQ treated lumber. 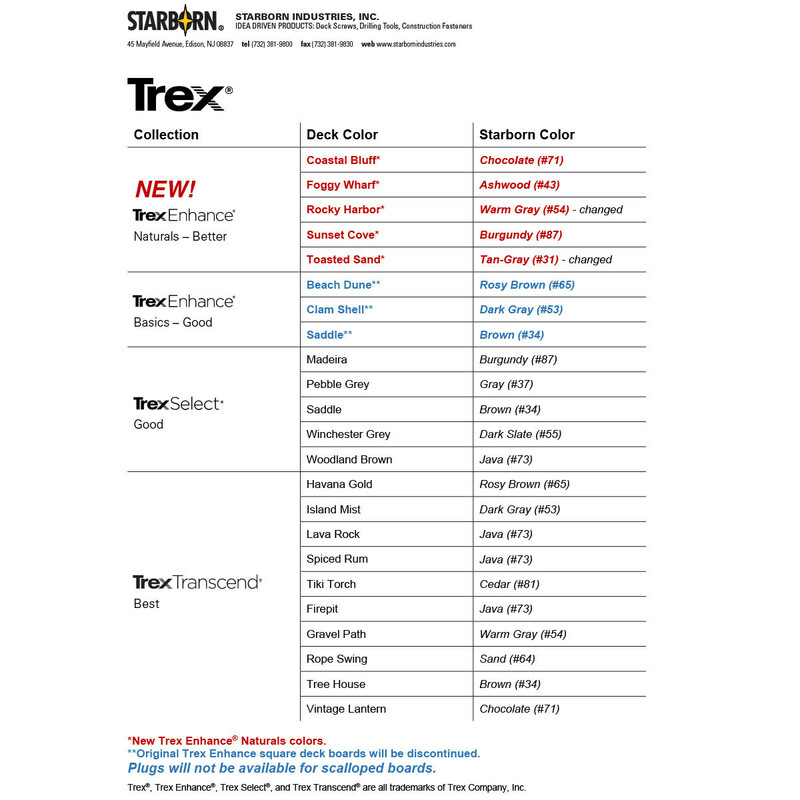 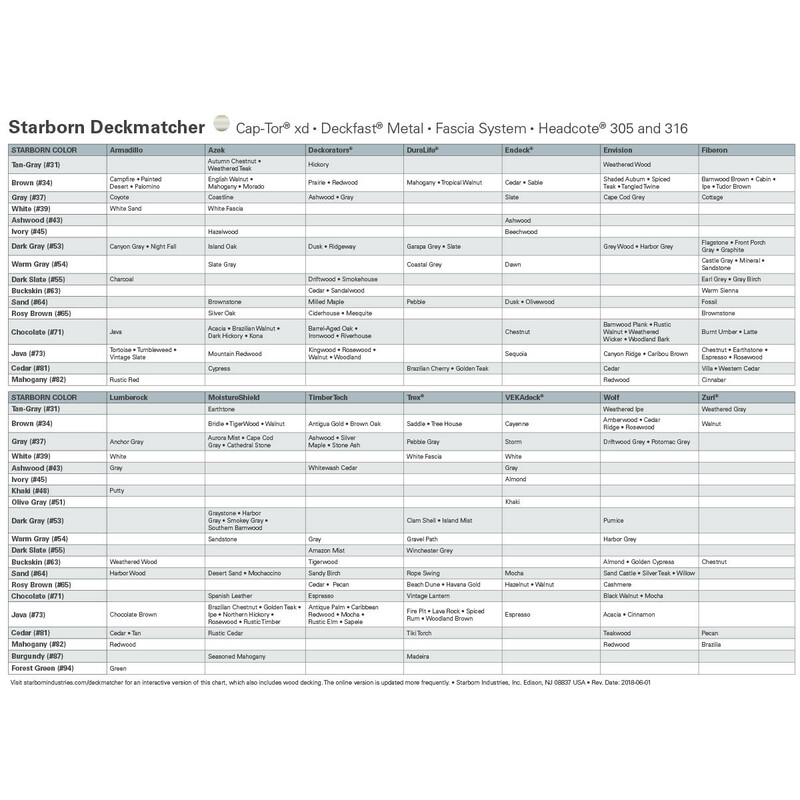 • Color Selection: Consider deck maintenance and weather exposure when choosing your head color. 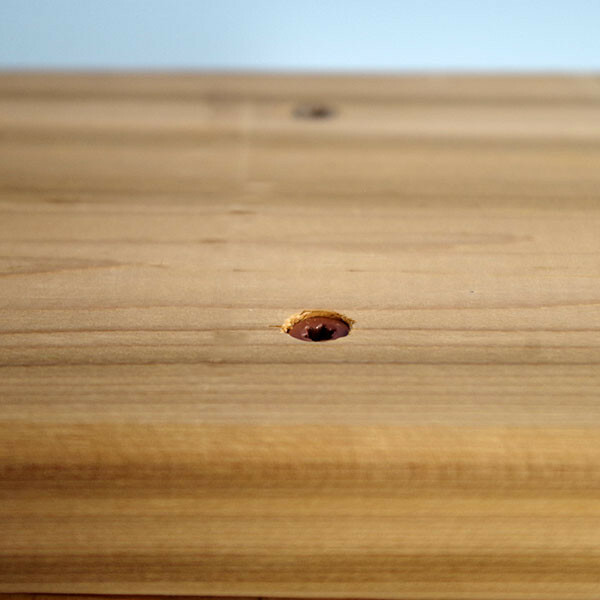 Variations in grain and color exist within all wood species. 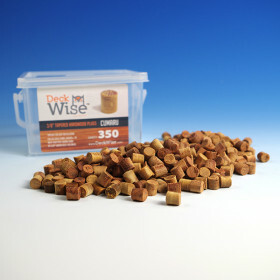 PVC or composite decking may fade significantly over time; check with the manufacturer for specifics. 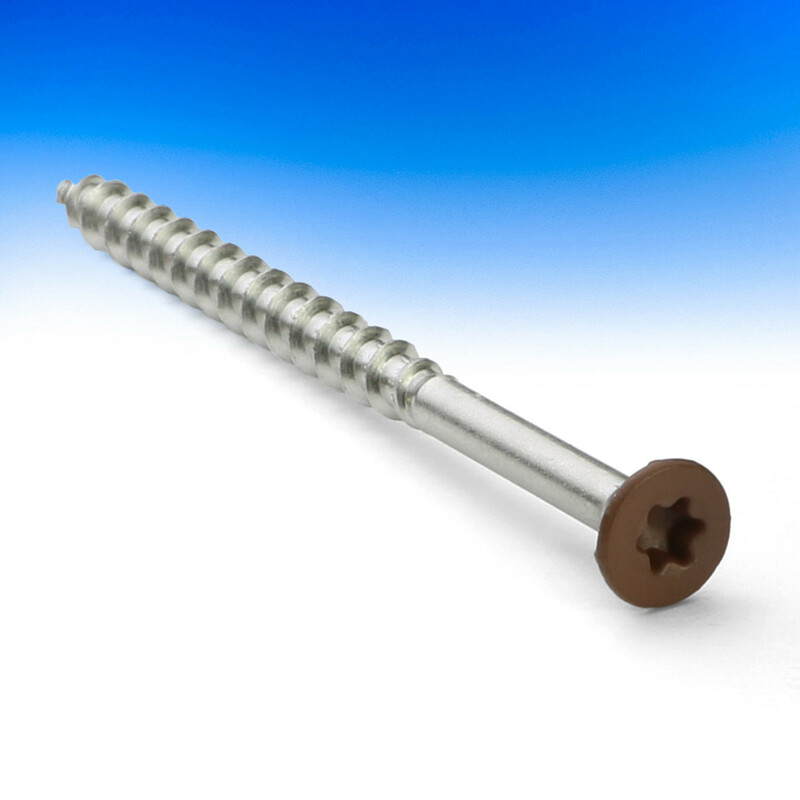 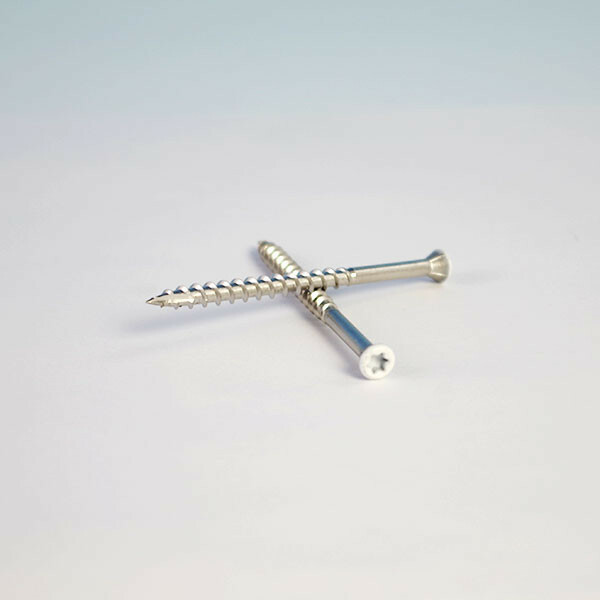 Flat head screws are recommended with treated lumber, and the suggested color is Tan-Gray (#31). 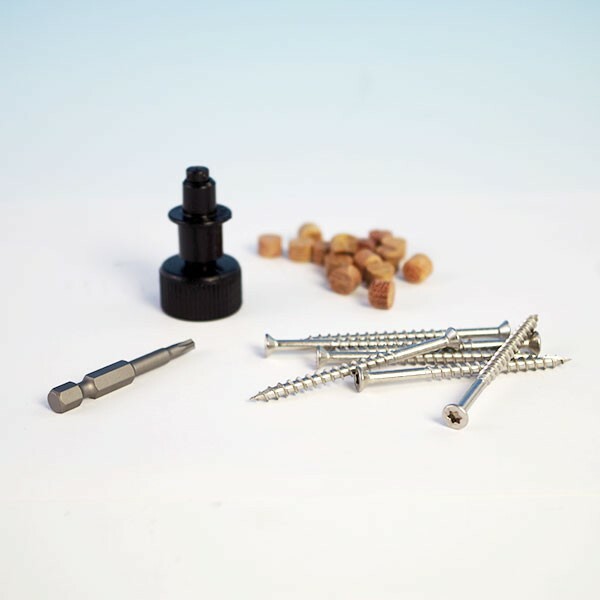 Please note that while the head coating is specially formulated for durability, it is subject to normal wear and tear from foot traffic and weather exposure. 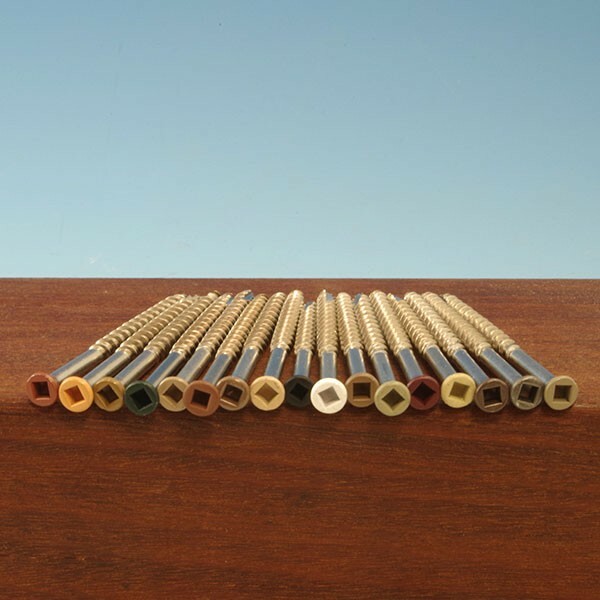 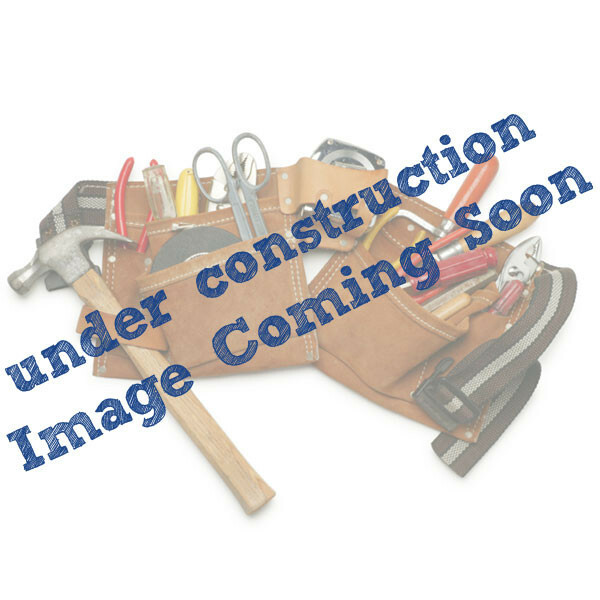 • Pre-Drilling: For softwoods, pre-drilling is generally not necessary. 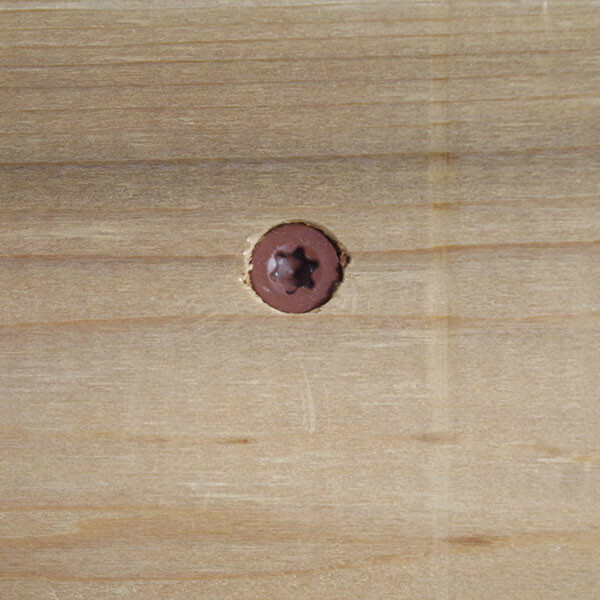 For best results in hardwoods and to avoid "mushrooming" in composite deck boards, the Starborn Smart-Bit Tool is recommended for pre-drilling and countersinking. 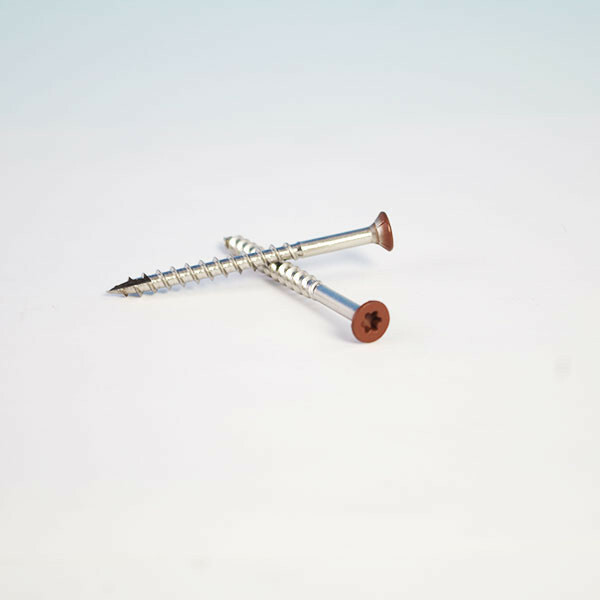 Regardless of decking type, pre-drilling at the end of boards is recommended to avoid splitting. 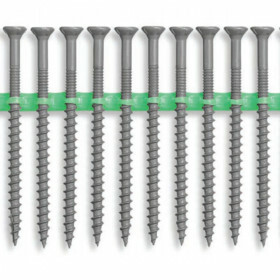 Screw Length 1-5/8", 2", 2-1/4" 2-1/2", and 3"
Colors Tan-Gray #31, Brown #34, Gray #37, White #39, Black #38, Ivory #45, Olive-Gray #51, Dark Gray #53, Warm Gray #54, Wheat #61, Buckskin #63, Sand #64, Rosy Brown #65, Light Cedar #79, Cedar #81, Burgundy #87, Forest Green #94, Chocolate #71, Mahogany #82, Java #73, and Dark Slate #55 (note: not all colors available in all screw/pack sizes).